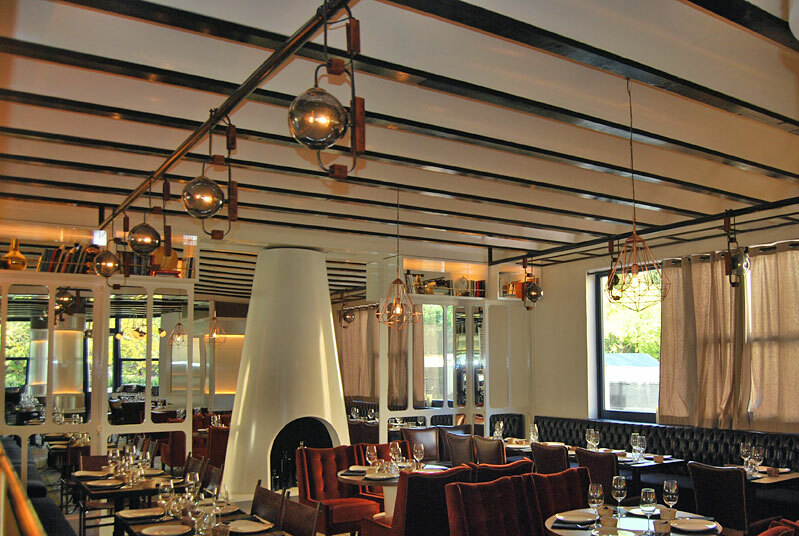 A modern place offering the latest trends in cuisine, cocktails and drinks. 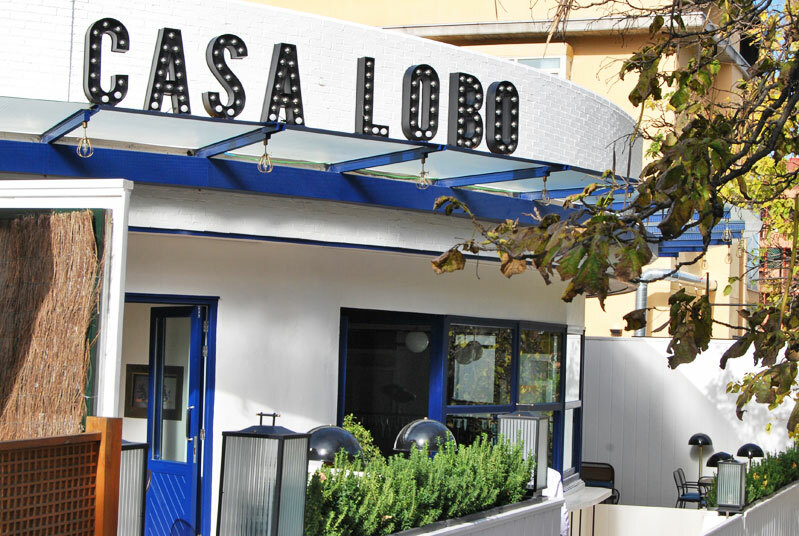 Located in Madrid, it offers a different plan for each day: from meals with an Asian touch, an after work or a plan for the weekend. The interior designer, Lázaro Rosa-Violán studio, was responsible for the interior design. 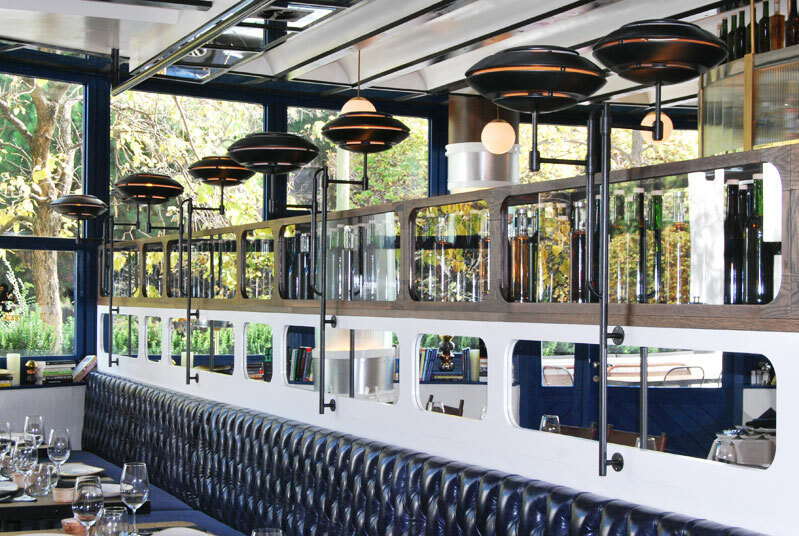 It is a very modern lighting where suspended light fittings stand out in the main dining room: one of the pieces is a large industrial-inspired lamp, in a brass finish, with nine arms interlaced with each other by means of plates and with a bell at the end of each one. 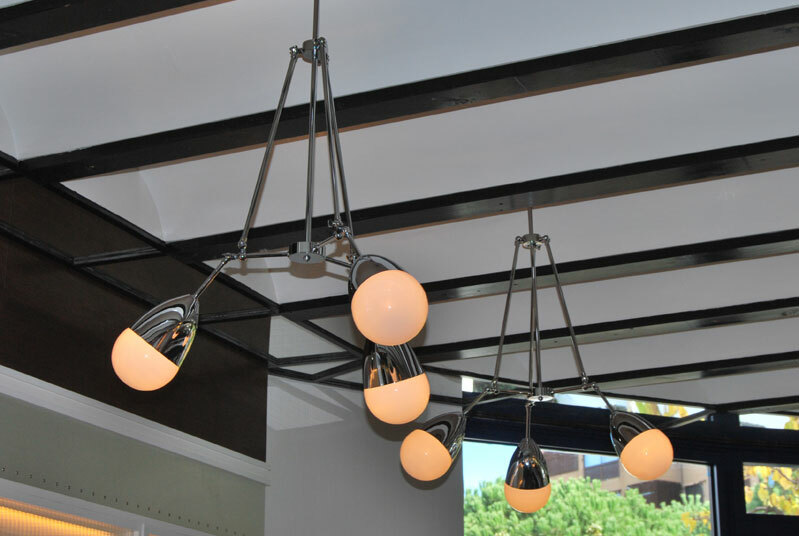 Beside it, other smaller light fittings hang, with a metal structure and three arms with small opal bulbs. 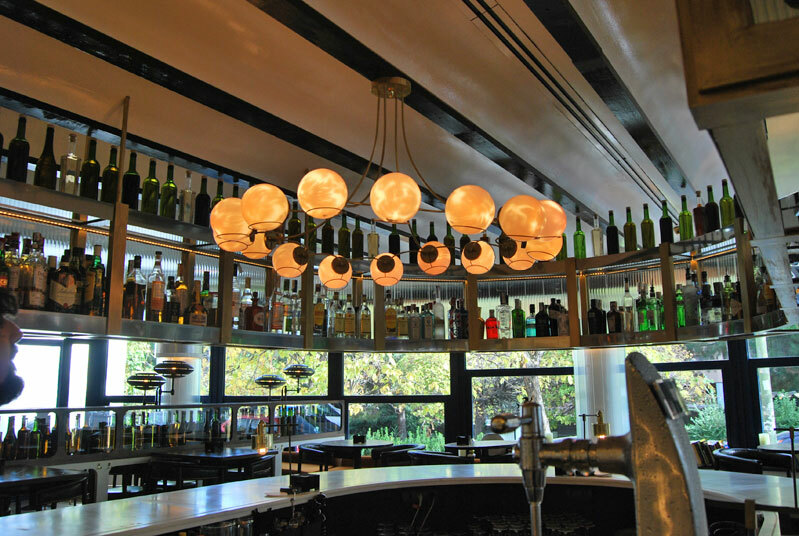 Inside the bar we find another large lamp with a sinuous metal structure and opal glass balls forming a circle of warm light. 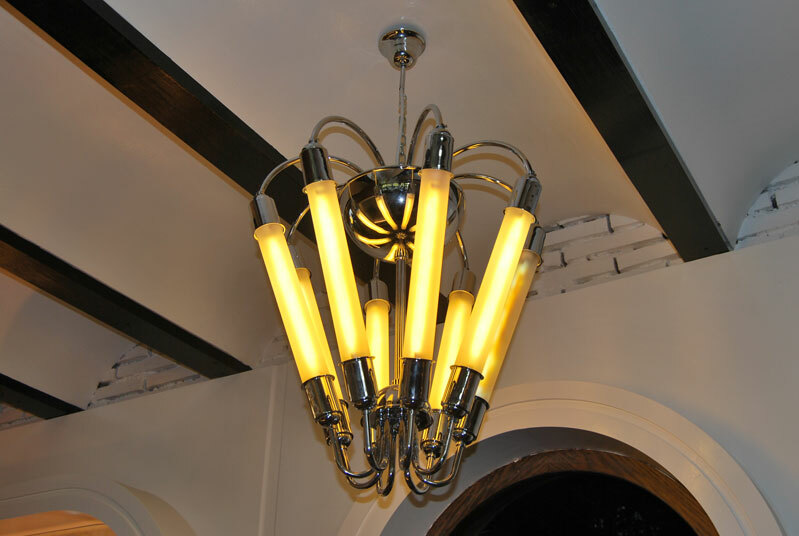 We complemented the lighting with various ceiling lights, modern wall sconces and a LED tube lantern lamp. 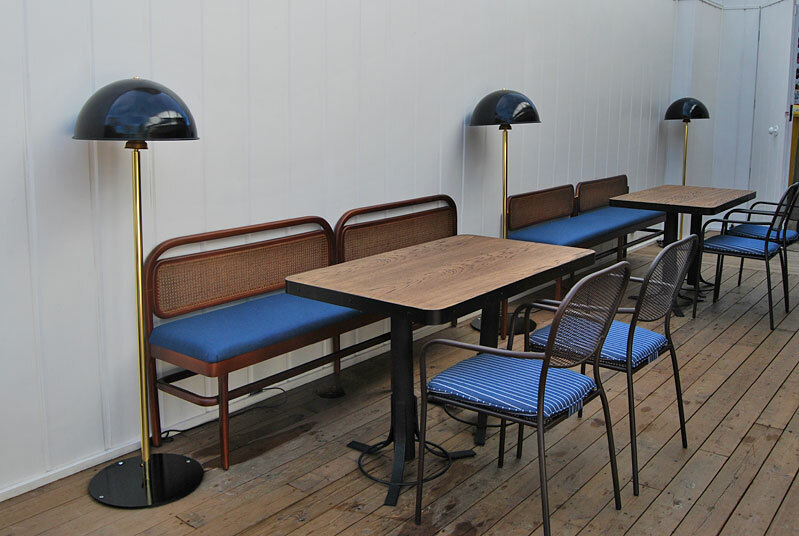 Near the tables, we also find standing fixtures made to measure with an indigo hood. 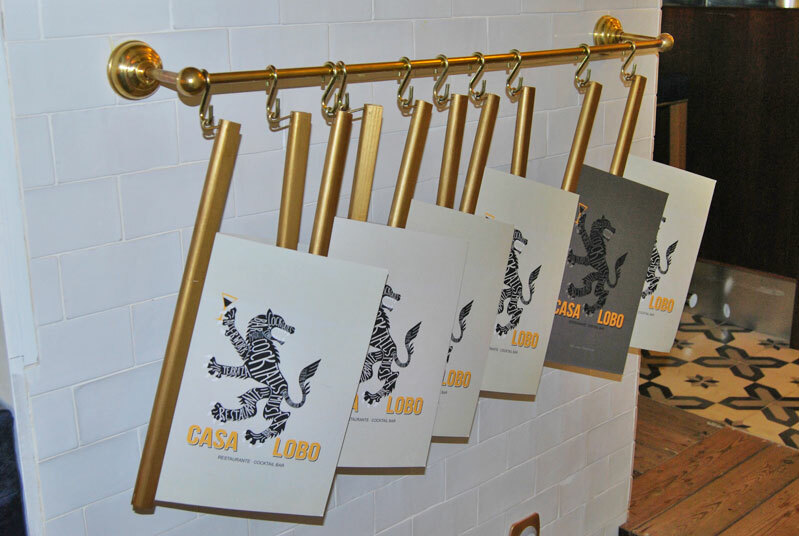 For this project we also made a newspaper rack to hold the menus. 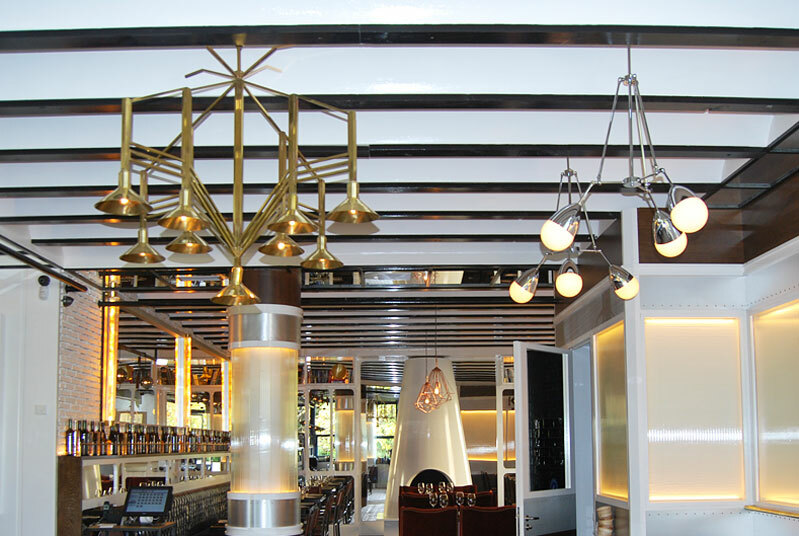 The finish is made of aged brass and the vintage touch contrasts with the modern style of decoration in the premises.